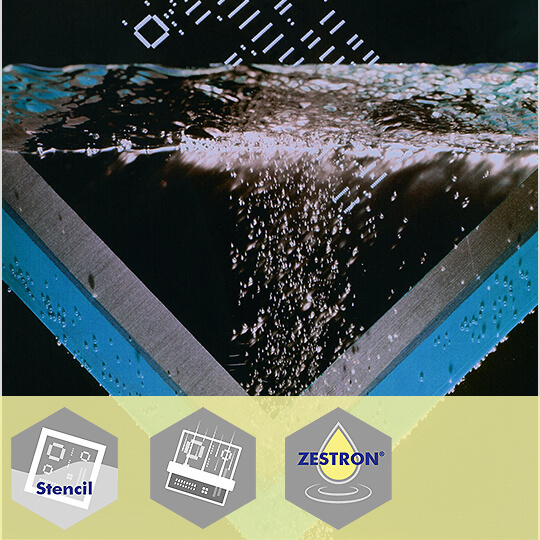 ZESTRON® SD 301 is an odor improved formulation. Especially a faster drying time allows for shorter cleaning processes. The solvent-based cleaner removes solder pastes, SMT adhesives as well as thick film pastes from stencils and screens in spray-in-air systems. Its high flash point permits both manual use and the application in printers and stencil cleaning equipment.